This versatile summer veggie is packed with an array of important pregnancy nutrients including vitamin B6, folate, and magnesium. 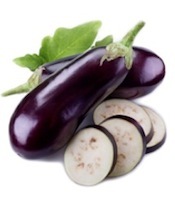 A nutrient that it is particularly abundant in eggplant is the bone and cartilage-building mineral manganese which is required in higher amounts during pregnancy and breastfeeding. Manganese is also part of the antioxidant superoxide dismutase which helps protect cells from damage. To top it off, eggplant is a good source of fiber which will help keep digestion moving smoothly in the later stages of pregnancy when constipation is a common ailment. To prepare eggplant, tenderize the flesh by salting the cubes or slices and letting them rest for about 30 minutes to remove some of the moisture so the vegetable won’t soak up as much of the oil used in cooking. Rinse off the salt before cooking, then roast, bake, steam, or throw on the grill as a healthy alternative to meat during a summertime barbeque. If baking the eggplant whole, make holes in the skin with a fork to allow the steam to escape. Blueberries are a nutrition superstar packed with disease-fighting antioxidants and essential nutrients- one of which helps keeps pregnant women’s bones strong during pregnancy and breastfeeding. Blueberries are an excellent source of vitamin K which works together with vitamin D to promote bone health. To get the maximal health benefit from blueberries, try to buy organic as this summertime favorite is included on the “dirty dozen” list of fruits that contain the highest pesticide residues when bought conventionally. 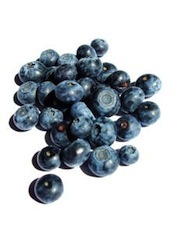 Studies have also shown that organic blueberries have more antioxidants than conventionally grown blueberries. To reap the benefits of these powerful berries year-round, purchase organic frozen blueberries which retain just as much nutrition as the fresh version. Along with being one of the best fruit sources of fiber, fresh figs are packed with blood pressure-lowering potassium, energy boosting vitamin B6, and bone-building manganese. 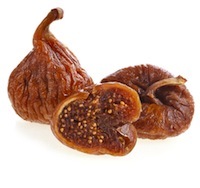 The antioxidant levels of figs peak when are they fully ripe, so the best time to enjoy “nature’s candy” is right before the point of spoilage. For a healthy dessert that offers natural sweetness with a fraction of the added sugars and fats that are typically included in processed desserts, try stuffing figs with ½ teaspoon of low fat cream cheese and sprinkle with nutmeg, toasted almonds, and honey. For a vegetarian snack or appetizer, cut figs about halfway up from the bottom, stuff with a morsel of Gorgonzola cheese, and gently press closed. Brush or spray the figs lightly with olive oil and grill just until hot. There’s nothing like a sweet vine-ripe tomato to add a burst of flavor, not to mention nutrition, to your summertime meals. Tomatoes are an excellent source of many nutrients, but what makes them a pregnancy food superstar is their vitamin C and beta carotene content. Vitamin C is necessary to form collagen, the structural protein which makes up cartilage, bones, tendons, and skin. Vitamin C is also needed for iron absorption, so adding tomatoes to iron-rich spinach or beans will increase absorption of this important mineral. The beta carotene in tomatoes is converted to Vitamin A in the body. This vitamin is crucial in the beginning stages of an embryo’s vital organ development including the heart, lungs, and kidneys. Vitamin A also plays an important role in the immune system, helping to fight infection and aiding in postpartum tissue repair after delivery. 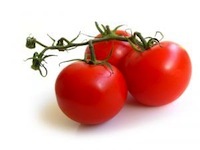 Be sure to buy organic cherry tomatoes if possible as they are included as one of the “dirty dozen” on the 2013 list of pesticide-containing fruits and vegetables. It is also recommended to purchase organic ketchup which has been found to contain higher amounts of the tomato-antioxidant lycopene as well as more beta carotene than non-organic ketchup. Additionally, look for “BPA-free” on the label of canned tomato products to ensure that these products don’t contain the chemical Bisphenol-A which should be avoided during pregnancy.